This is a sightseeing tour, mountain and valley scenery, open country, Wallowa Mts, called Little Switzerland of the USA. We will depart from Spokane and head towards Clarkston. Stop in Uniontown and Asotin for lunch. Then travel south on highway to the Grande Rhonde River Rd to Troy and Flora Oregon. Our first night is at the Rimrock Inn where we will enjoy our evening meal. Day two, we will tour Joseph and go to Wallowa Lake and have lunch at the Lodge. Lots of sights and shops during this section of the tour. Then it’s on to Imnaha to stay over night at the Imnaha River Inn Bed and Breakfast. This trip is an outback country trip. it will feature fabulous, one of a kind scenery, showcase country/ranch life. 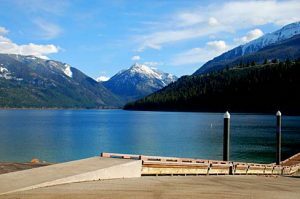 If you enjoy looking and observing the magnificent views and settings, stomping around old small towns like Troy, Flora and Imnaha then this is the trip for you.We will be visiting small towns and staying in back out of the way places. Tour leader is Wayne. This will be a fun “laid back” trip traveling as the wind blows. Come enjoy the adventure with us we may find many unexpected pleasures and mingle with a great bunch of people !!! Transportation and hotels are included in the price. Due to limited capacity of hotels on this trip – capacity is limited to 10 travelers. A trip deposit of $185 PPDO or @10 PPSO will secure your place on the trip.